Gauteng Finance MEC Barbara Creecy has tabled a R132 billion budget. The biggest crunch of the budget, about R50 billion, will go to the Health Department. The money will be used to secure new office premises after its building caught alight in September 2018 resulting in the deaths of three firefighters. The other portion of the health budget will be used to pay the families of the Esidimeni victims. Creecy tabled the budget in the Gauteng legislature in Johannesburg. 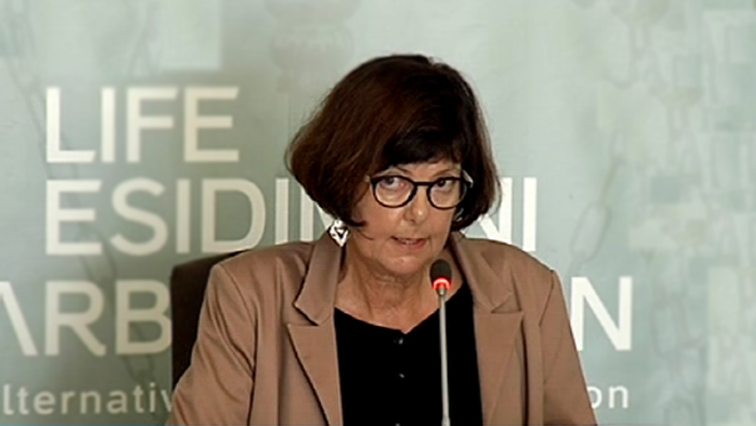 “R150.1 million is allocated over the MTEF for the department to obtain a suitable office accommodation following the fire incident in the Bank of Lisbon building and R300 million is made available through the Office of the Premier to compensate the families of mental health care users, who have been approved by the Master of the High Court, as a result of the Life Esidimeni tragedy,” explains Creecy. The Western Cape provincial government says it has introduced an incentive grant for good performance in municipalities, which it says is the first for the country. Provincial Minister of Finance, Ivan Meyer, tabled his R68 billion budget on Tuesday afternoon. Meyer says while 95 percent of the budget is allocated to service delivery, they also want to reward excellence. He says R10 million has been set aside to incentivise good performance in municipalities. Limpopo Treasury MEC Rob Tooley says expenditure in the province has been better managed in the past financial year. He was tabling the 2019 provincial budget at the Legislative Chambers in Lebowakgomo. Tooley says the provincial allocation to departments has increased to R69 billion. The Limpopo Education Department has been allocated R32,3 billion for the 2019 and 2020 financial year. Treasury MEC Rob Tooley presented the provincial budget and expenditure overview at the Legislative Chambers in Lebowakgomo. Tooley says the budget for education has increased by more than 4%. The Free State treasury says the budget speech is in line with what Premier Sisi Ntombela outlined in her state-of-the-province address a week ago. MEC Elsabe Rockman will present the provincial budget speech in Gariep, south of the Free State. Ntombela mentioned among others the importance of assisting struggling municipalities in the province during her address. The Treasury Department says their budget will also focus on economic growth of the province. The post Gauteng Finance MEC tables R132 billion budget appeared first on SABC News – Breaking news, special reports, world, business, sport coverage of all South African current events. Africa's news leader..